Mobile responsiveness guarantees full control of how users are seeing your text, images, and presentation. For example, if you’re selling products or services directly online, you want everything optimized for a sale. If you don’t know how your site is going to appear on a smartphone or tablet, you could be squandering $1,000s in sales or possibly more. A simple, functional website employing mobile responsive web design is what you want to aim for. Customizing the user experience for the consumer is what lies at the centre of mobile responsiveness. In this age, we view websites on our desktops, smartphones, and tablets. If you build a site for desktop, it may look great on a computer but when it comes time to apply that same design to a smartphone, it can look wildly different. 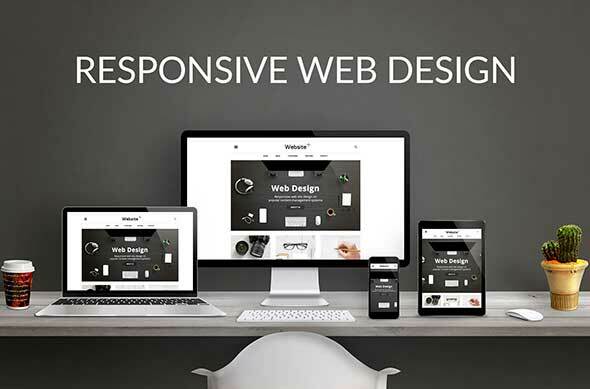 Mobile responsive web design allows a site to adapt its design according to screen size, shifting objects as needed, adapting font sizes and images, and optimizing your website for any and every possible viewing possibility. No matter what category your website is in, you’re likely seeing the same trend every other category is – users are shifting from desktops to tablets and smartphones. More users are surfing Internet using smartphones and tablets, and more are dropping off from desktops. Therefore, to maximize the amount of customers you pick up, you must go where the audience is and that’s on mobile platforms. A fast, responsive design goes a long way in satisfying the expectations of the consumer and helps to build that important emotional connection you need to get leads converting into customers. Google recently made a change in its algorithms regarding how sites are placed in search engine queries. Those sites that are mobile responsive are valued higher than sites who are not mobile-equipped. Google also employs a mobile-first index, which uses the mobile version of a website to classify it. Any time someone is making a search on Google on their tablet or smartphone, they’re going to pull up mobile responsive websites first. If SEO is something you’re concerned with, you absolutely want to ensure mobile responsiveness is activated and employed. A lot of web design companies do not care about how fast your site loads. For them, they’re more concerned with appearances. Regarding a responsive design, as important as it is for a site to be adaptable, it’s equally important for it to be fast. According to recent research, roughly 48 percent of all mobile responsive designs take between 4 and 8 seconds to load. Most users expect a site to load within 3 seconds or less. Therefore, when designing for mobile, you must ensure images are optimized, elements are minimized in the correct way, and that your site loads as quickly as possible. Overlooking mobile responsive web design is a huge mistake. Quintessential for success online, use a mobile responsive design to ensure visitors are able to successfully navigate your site continuously without difficulty! As a website designers in London, Ontario, we can help to build your responsive website.